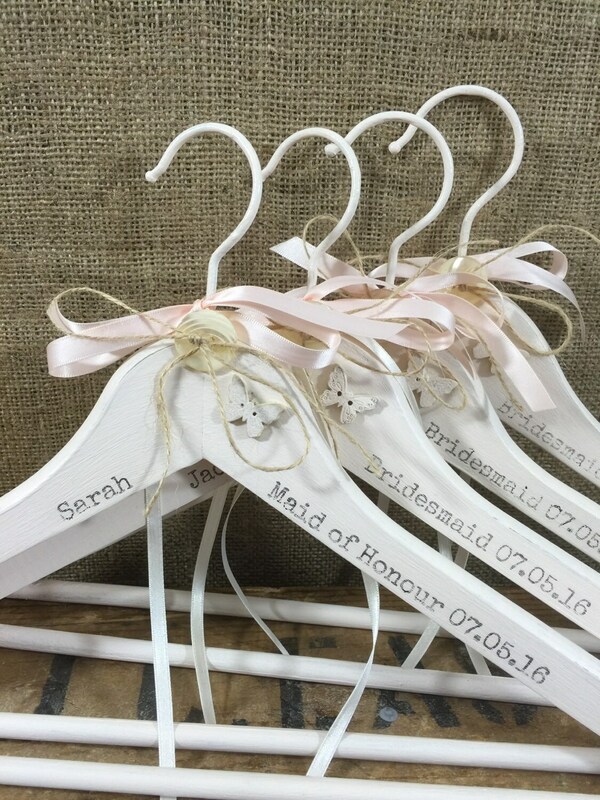 A pretty wooden wedding dress hanger painted in a selection of colours and decorated in the shabby chic style especially for you, your bridesmaids or Mother of the Bride etc..
And to make them extra special why not have your name and the date of your wedding or special occasion custom printed onto your dress hanger. 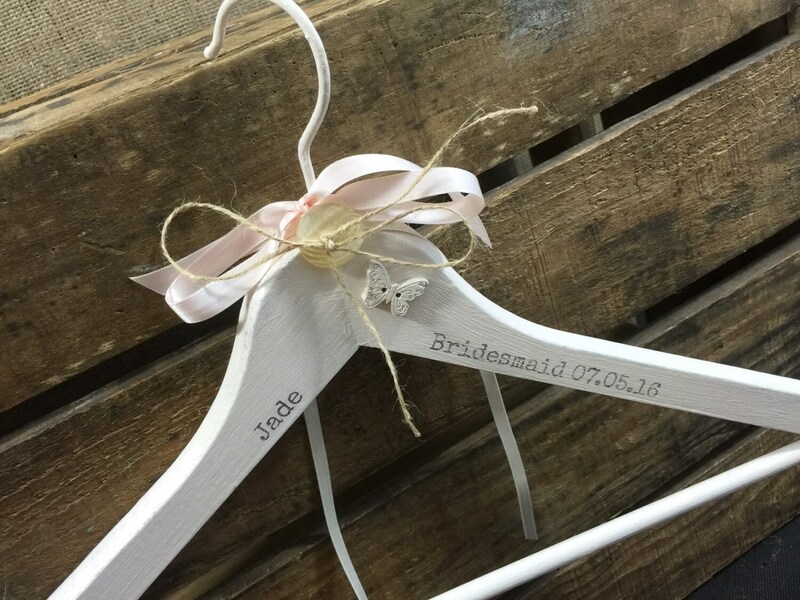 Do you need to hang a beautiful gown, wedding dress, bridesmaid dress or prom dress? Do you need to display a special garment, fabric or textile? 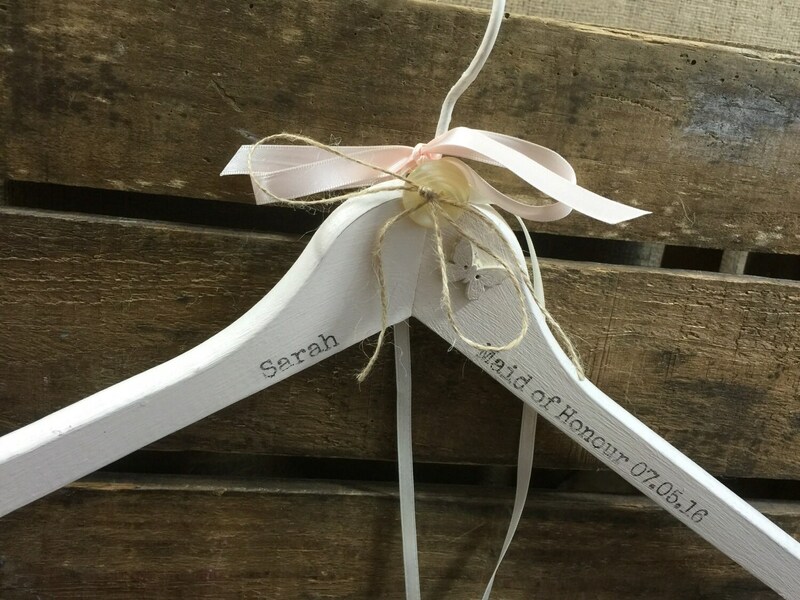 These uniquely decorated solid wooden hangers are the ideal solution. 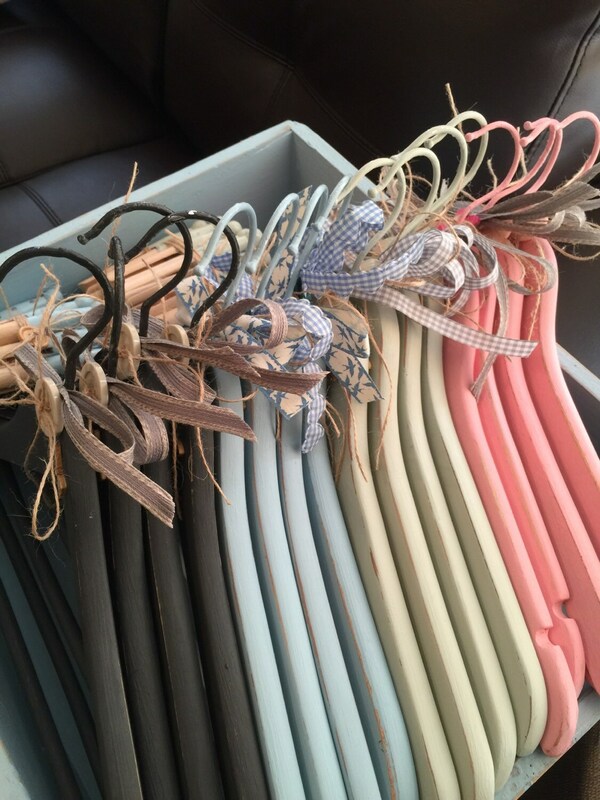 And for the bride why not choose a something blue hanger or blue ribbon! 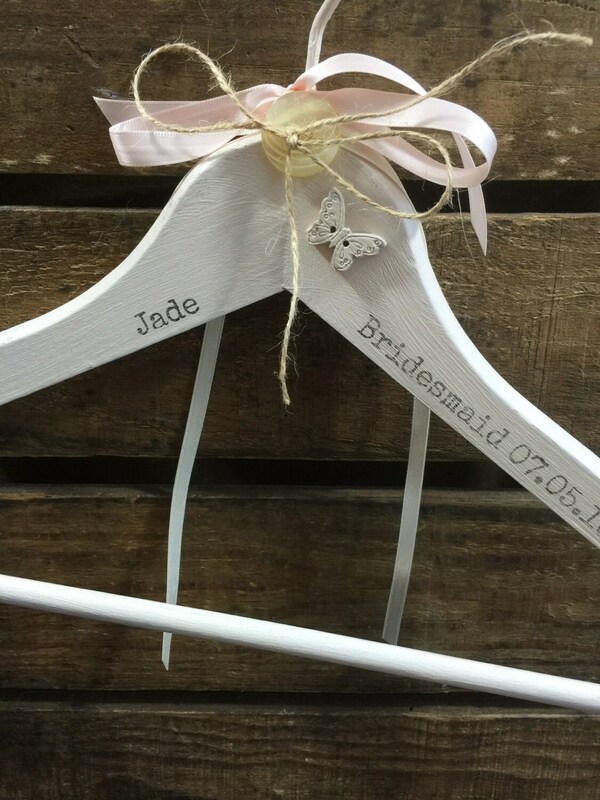 + I can also add the words Bride, Bridesmaid, Maid of Honour, Mother of the Bride etc..
+ Please note BUTTON detail, BUTTERFLY, and RIBBON may vary but they are all beautiful. + Please put any preferences or extra customisations in the note to seller. BUY 9 GET the 10th absolutely FREE!!! Simply add 9 hangers or more to your basket and checkout. Leave the details for all 10 hangers ormore in the note to seller. PROCESSING - 3-5 days (maybe longer on large orders) would be ideal however if you need a rush order please convo me. SHIPPING - Anthi Leoni Decor ships from the UK - Standard UK shipping time 2-3 days. INTERNATIONAL SHIPPING - Please provide mobile / cell number for courier. Prices indicated for international shipping are an approximation. Please contact me prior to contact with your country so I can quote accurately for shipping and combined shipping.